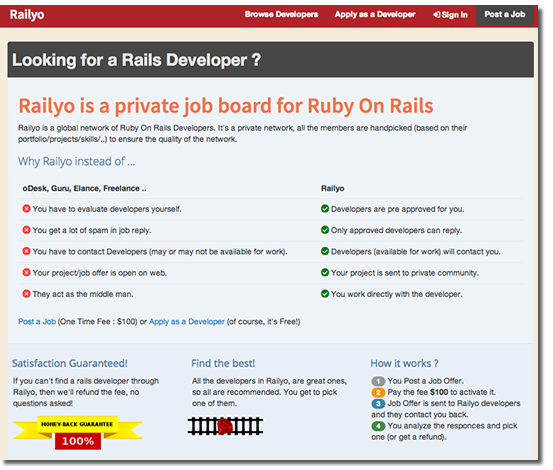 Railyo is a global network of Ruby On Rails Developers. It’s a private network, all the members are handpicked (based on their portfolio/projects/skills/..) to ensure the quality of the network. From a design perspective there are almost no graphics on this site. And thats ok because they use colors and text very well. Its amazing what you can do with a well planned page layout using CSS and Railyo offers a glimpse of that. 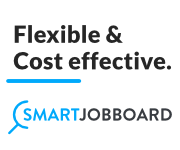 The homepage tells you exactly what they do and I like the 2 column layout that explains why they are different than other tech job boards and freelance sites. Stating why you are different is important so you can set expectations. And it helps set you apart from the competition. Now for the “private” aspect. Railyo is a new type of service that is cropping up. Others include InterviewJet.com. 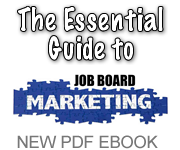 Their main premise is to curate the best candidates based around a certain niche. In this case they are targeting Ruby on Rails developers. 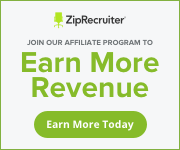 I like this business model because it helps recruiters save time and in theory see the best candidates. (and as you know time = money) But that is also the challenge for Railyo. How will they get enough candidates to fill the pipeline? They need to be laser focused on building their candidate database with enough top ruby developers to make it work over the long term. 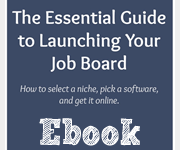 TIP: think of products that help recruiters/employers save time. If you can help make their job more efficient with a certain part of the recruiting cycle you can charge for it! I ran into a couple of new job startups that caught my eye and wanted to provide some commentary on these ideas. First up is a site uniquely called JobsnoteSteve.com. Not your average job board name but I like the play on words. Its creative. The site itself is built on Indeed.com’s API but it’s aim is to make IT jobs easy to find. The site does this by breaking out a variety of job titles in an A to Z fashion which is a nice touch. 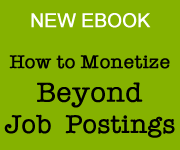 The site probably wont be a traffic magnet but techies looking for work may make it a niche site worth using. 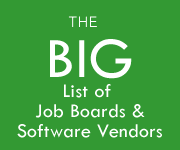 This is a good example of what you can do with a jobs API that all the big aggregators provide. Next up is Job Poacher which got a nice writeup on TechCrunch last week. 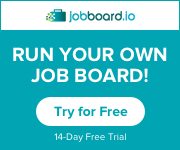 This is NOT a job board. 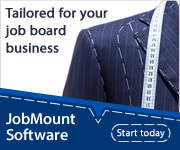 Its a place where job seekers go to to anonymously state their “job wanted”. The site has literally no design which is strange but it does seem more like a feature than an actual business. First to be relevant they’ll need lots of candidates. And as we all know that can be expensive. I like the idea however even if its not much of a step up from the resume section on craigslist. If I were them I’d contact job board software providers about adding JobPoacher as a feature. This is a free post. Want access to premium content? Become a member today. The NY Times has a blog that critiques websites and I stumbled across this post about a site called DirectApproachSolutions.com that claims to be the ‘eHarmony of jobs‘. The Times asked readers to comment on the site and they gave it scathing reviews but I wanted to chime in as well. First of all, lets start with the domain name. Its WAYYYY TOOOOOOOOOOO LONGGGGGGGGGG! The number one rule of picking a domain is to go as short as possible. Nmmber two is getting the words jobs or careers into it somehow. DirectApproachSolutions.com does neither. Nor does it give the visitor an indication of what the site does. Its a generic, unremarkable domain name. The browser title starts with “Job Search NYC”…if it’s a local site the homepage gives no indication of that. The logo is boring and generic looking. The homepage is text heavy and does not draw the users eye to any one area of the page. 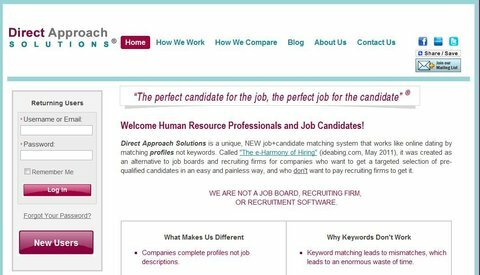 The premise: the online job search industry is littered with a long list of companies that claimed to be the eharmony for jobs. Jobster, RealMatch, Climber…to name a few. The idea never really caught on with job seekers or employers. 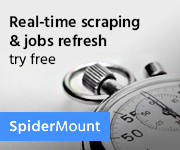 I just found this cool new tool named Screenr which is awesome for doing screencasts (no software required). 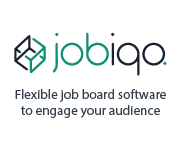 So I tried it out by deconstructing a job board for you. You can get a 15 day free trial but after that its a rather pricey $49 per month if you want to able to embed them on other sites.